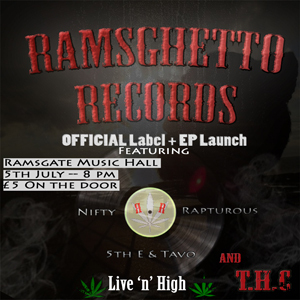 On Thursday July 5th 2018, Ramsghetto Records will have it’s official launch at The Ramsgate Music Hall. Ramsghetto Records will be a new sister label to Map Records releasing Hip Hop / Rap. The first release will be ‘The P’Loc Show’ EP by T.H.C. Out on July 6th 2018.